This video amazed me - at one point you can see the heat haze from passing the flame from my small butane torch over the hub, at another you can see the flux flow into the joint between the ring and the hub. And, when you see things dancing around it is because I have started adding heat, and the flux is boiling. I also realized when I watched the video that it looks like I put a big, honking washer on the hub to reinforce the joint. Rest assured - the washer is only 20 thousandths thick – it is just the small size of the rest of the parts, and its tapered edge that make it look so thick. It will fit very nicely in the space available and make the repair very stong. Fantastic footage and technique. Did you have to clean the old solder off of the piece before putting on new solder? Looks real good. Thanks for sharing. 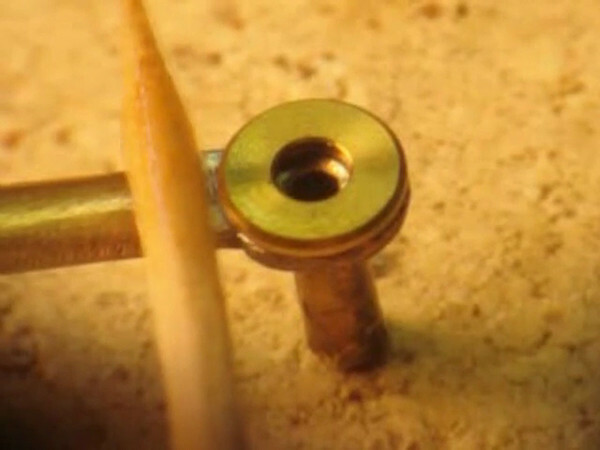 Great tidbit to provide soldering techniques.